Hello people of the internet!!! On today’s ‘Monday Memos’ we’re going to discuss an amazing new documentary I was recently given the opportunity to screen about a man who died and went to Heaven. If you loved films such as ‘Heaven is for Real’ and ’90 minutes in Heaven’ then prepare for a documentary that will lift your spirit and make you question just where the line between life and death is drawn and what exactly happens to us when we die. Through the use of beautiful cinematography as well as captivating storytelling, director Stephen Gray is able to demonstrate just why this film has won best documentary awards at: Festigious IFF Los Angeles, New York Film Awards, Los Angeles Film Awards, and selected as a Daily Pick on Film Shortage. So if you’re ready to hear an incredible story that will truly inspire you then please read on! Ready? Ok, let’s go!!! On July 18th, 1969 at 19 years old, Capt. Dale Black became the sole survivor of a non-survivable plane crash in Burbank, California. In ‘Discovering Heaven’ Capt. Black describes his vast 40 years of experience as a pilot, flight instructor, standards captain, aviation safety counselor, and FAA designated examiner, which was though to be impossible after the extensive bodily damage he suffered as a result of the crash. In the documentary Capt. Black explains the horrific experience of crashing 5 feet from the top of a 7 story tall concrete dome called ‘The Portal of The Folded Wings’ (which was made to honor fallen pilots) at 135 miles per hour. Prior to the crash the plane of deemed suitable for flight and appeared to be in perfect operational order. In a split second Capt. Black’s life would forever change. After the crash occurred Capt. Black describes viewing his own body, as well as the bodies of his two co-pilots, after the three individuals fell 70 feet from the air. He then traveled to Heaven with two angelic beings, before returning to his body in the hospital. Capt. Black described his experience as feeling alert but without fear or pain. Upon waking up in the hospital Captain Dale had to undergo a vast amount of physical therapy due to his bodily injuries which included his back being broken in multiple places, and well as pieces of debris having to be removed from his body, among other injuries. Capt. Black goes on to describe how this experience truly changed him due to his family’s background as logical indivduals who believed that there was a scientific explaination for everything. I truly do believe that Capt. Dale’s story is an increbile account of a miracle that few of us are given the opportunity to experience. However I think Capt. Black says it best in ‘Discovering heaven when he states that his advice is to, “Get a good bible and read everything Jesus said and keep your mind alert but open your heart, and then make your own decision. It’s your life, it’s your eternal life, so do with it whatever you want to do”. All photos and information used in this blog belong to Instagram, Twitter, Facebook, discoveringheaven.com, daleblack.com, Captain Dale Black, Stephen Gray, Festigious IFF Los Angeles, New York Film Awards, Los Angeles Film Awards, Heaven is for real, 90 minutes in heaven, Randall Wallace, Joe Roth, T.D. Jakes, Devon Franklin, Christopher Parker, Todd Burpo, Lynn Vincent, TriStar Pictures, Roth Films, Michael Polish, Randall Emmett, Dawn Parouse, George Furla, Rick Jackson, Harrison Powell, Timothy C. Sullivan, Cecil Murphey, Emmett/Furla Films, Family Christian Entertainment, Giving Films, Samuel Goldwyn Films, and all companies, individuals, corporations, managers, writers, producers, authors, publishers, and/or businesses that should receive credit for anything mentioned in this blog post, and all original owners. I do not own anything in this blog. If any people, corporations, businesses, companies, etc, were not previously given credit for their work, they are given credit now and their previous absence was unintentional. All opinions expressed in this blog are my own. I wrote this blog for entertainment purposes and no copyright infringement is intended. 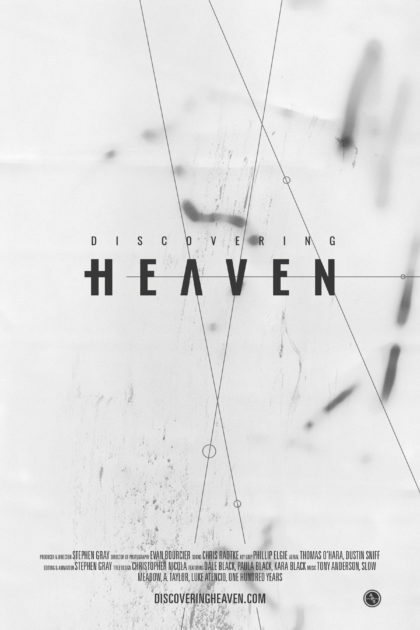 celindareyesblog April 3, 2018 No Comments on Monday Memos: Discovering Heaven…the documentary that will inspire and uplift you. Category: Monday Memos. Tagged: •Instagram, 90 minutes in heaven, Captain Dale Black, Cecil Murphey, christianity, Christopher Parker, daleblack.com, Dawn Parouse, Devon Franklin, discoveringheaven.com, Emmett/Furla Films, facebook, Family Christian Entertainment, Festigious IFF Los Angeles, George Furla, Giving Films, god, Harrison Powell, Heaven is for real, jesus, Joe Roth, Los Angeles Film Awards, Lynn Vincent, Michael Polish, miracle, near death experience, New York Film Awards, Randall Emmett, Randall Wallace, religion, Rick Jackson, Roth Films, Samuel Goldwyn Films, Stephen Gray, T.D. Jakes, Timothy C. Sullivan, Todd Burpo, TriStar Pictures, twitter.